With over 25 years’ experience and state-of-the-art technology and equipment, we have the capability to meet virtually any product requirement. Prototypes, medium production, multi-layers, flex, rigid flex, quick turnaround — whatever your needs, we can provide the solutions, quickly and efficiently. Using next-generation CAD/CAM software, we efficiently create all photo tool files needed for PCB artwork, drilling, fabrication, and testing. We perform copper, gold, and nickel-gold (NiAu) PCB plating all in-house, employing Shipley chemistry and black-oxide treatment for multi-layer copper surfaces. We achieve remarkable consistency and uniformity in the cleaning and fluxing process via a vertical HAL unit linked to a semiautomatic conveyor system. Reliable layer alignment and lamination via vacuum frame technology. A dedicated cool down press and integrated chiller enable us to maximize throughput by decreasing cycle time associated with normal press operation. Three dedicated CNC workstations electronically download all drill files. With three drilling machines featuring 128-count tool trays, we can easily accommodate the most complex SMT designs, whatever the via count or variety of hole diameters. 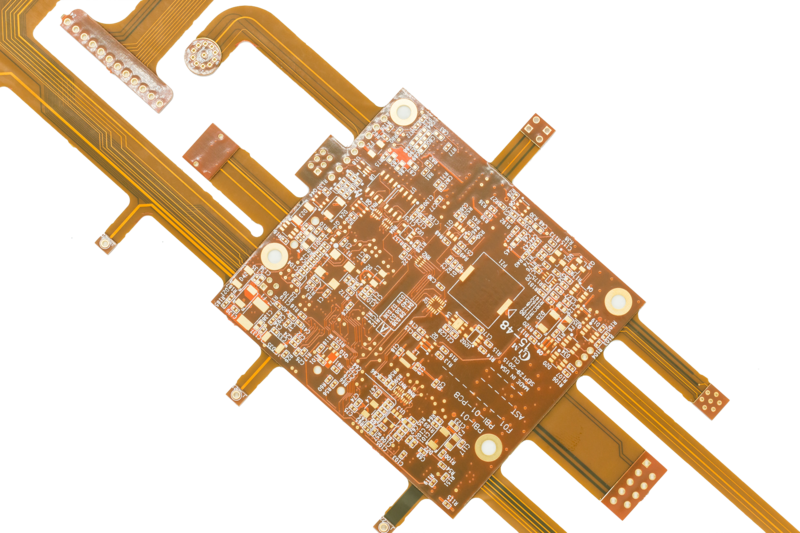 Using the latest proven imaging technologies together with the highest-quality materials, we are able to render your circuit designs in high resolution with remarkable clarity. The resulting reproduction accuracy greatly enhances product reliability. Before any PCB is approved for testing, it must pass our rigorous inspection process. Boards are tested using the latest automated precision equipment to guarantee optimum performance and complete reliability. All state and federal environmental regulations are strictly adhered to in our waste-treatment process. Masking accuracy is ensured through the use of liquid photo-image able solder mask. To ensure optimum results, we precisely control solder thickness by employing both automatic and manual application. Our well-equipped PCB fabrication and scoring department is a model of efficiency. After completing a rigorous process of auditing and quality control, Circuit Logic offers a competitive offshore pricing option for large volume production orders. All offshore quotes include NRE and TEST charges along with shipping cost from overseas vendors to Circuit Logic. All orders are shipped to Circuit Logic HQ, for re-testing to generate a new Frist Article report, insuring quality and design specifications. Circuit Logic is 100% responsible for the quality and on time delivery of the PCBs. Customers are more than welcome to visit and complete their own audit of our offshore facilities before they place any production orders with Circuit Logic.